Can architecting a strategic infrastructure solve a decades-old education challenge? The potential to create a better world through global learning initiatives has never been greater. All of the knowledge ever created has been captured, digitized, and catalogued to allow young people to learn and grow faster than ever before. World leaders from both the government and technology sectors have rallied over the last decade to increase learning absorption through e-learning initiatives that put this knowledge at the fingertips of youth everywhere in the world. However, it’s been proven that these efforts can only be optimized in countries with solid infrastructure and ubiquitous high-speed internet connectivity. Nowhere is the ‘digital divide’ more evident than in K-12 education, particularly in the emerging countries where infrastructure and connectivity are still precious resources. In these regions, even if tech giants donate equipment or ministries of education allocate significant funding, students are often cut off from the cloud-based learning resources due to lack of connectivity, or power outages and fluctuations. To address this, industry leaders are driving an innovative new technology architecture that allows global learning on a local level, even in these infrastructure-challenged environments. This development is the micro-cloud learning environment, a completely self-contained, cloud-enabled e-learning environment that allows students and teachers access to cloud-based learning management systems, curriculum, content, and resources – even when the school has no connectivity or power. With this innovative approach, the learning infrastructure, as well as the curriculum, content, and resources are staged on the micro-cloud platform in the school. Students connect on a local wi-fi that appears to be an internet connection, enabling a cloud-based eLearning paradigm even while sitting in a school without power. Most importantly, with the micro-cloud architecture, hundreds or even thousands of micro-clouds throughout a region can be managed and administered from a single, centralized point. The administration or Ministry of Education can curate uniform curriculum and content, which is then populated to the micro-clouds whenever a sporadic connection becomes available. The impact is just as great – or greater – on teachers worldwide. A massive percentage of committed educators globally simply lack the resources to become educated on the latest teaching paradigms, methods, and curriculum. 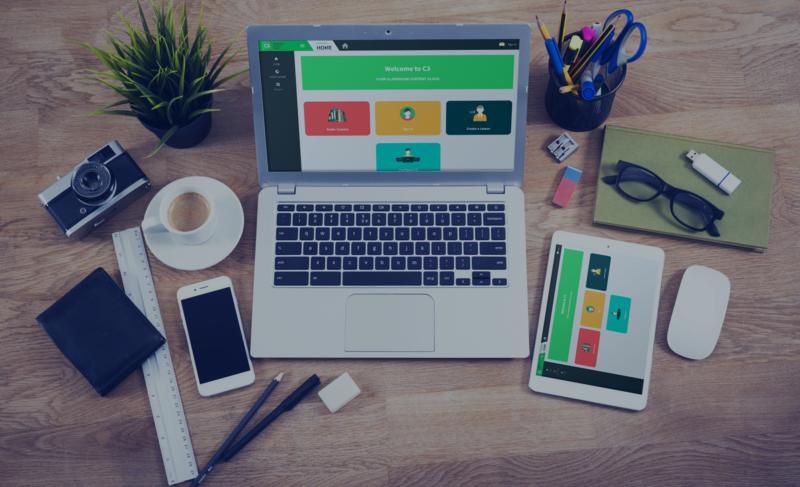 The micro-cloud delivers to a school administrator or teacher in a developing nation the chance to leverage state-of-the-art LMS technology and class management tools, right at their desks. The power of the micro-cloud lies in its ability to present a cloud-based environment to students. To accomplish this, the students must be able to simply and easily connect their devices to the micro-cloud resources wirelessly. Different micro-cloud platforms have varying scale in terms of number of active concurrent students supported; hence some are more appropriate at the classroom level, and others at an entire school level. Once students are connected to the micro-cloud, the learning process should be guided by a Learning Management System that manages a defined curriculum, assessment, and progress to plan. This helps both the students and teachers in their respective roles in the learning process. When a curriculum is determined, it normally includes structured content such as texts and exercises. The content must be stored locally in the micro-cloud, and accessed by the students as they progress through the learning process. While structured content to follow the curriculum is mandatory, the eLearning experience is finding that unstructured resources significantly enhance learning, knowledge uptake, and motivation during the learning process. In some cases, unstructured resources such as YouTube videos, Wikipedia, etc. become as integral to the learning process as the texts of the curriculum themselves. The micro-cloud is a technology resource deployed by the school/government, with key points of technology integration required in order to facilitate its use. Security, management, and networking foundations such as Active Directory and/or LDAP authentication capabilities, single-sign-on support, and policy-based management will be required for a wide rollout of the micro-cloud technology throughout a region or country. One of the key aspects of the micro-cloud is the ability to have a defined, curated, managed learning process applied over a wide geographic network of schools. This allows the Ministry of Education or the school system administration to determine the proper curriculum, content and courseware, and unstructured resources to be used in the learning process that are most applicable to the region’s culture and goals. However, if there are hundreds or thousands of schools, this can be a daunting process in infrastructure-challenged environments. A viable micro-cloud environment should have at its foundation a cloud-based portal to allow centralized administration to set curriculum, content, and policy, and have that automatically updated to every/any individual micro-cloud in a school. World leaders have aligned on the understanding that a powerful key to building a better world is through the ability to drive globalized learning at a local level. The micro-cloud is the result of the technology and education sectors joining forces to determine how this global learning can happen in the face of a very real digital divide for the emerging/developing nations. Charles Foley is the Chairman of Critical Links, offering Information and Communications Technology (ICT) infrastructure solutions for next-generation schools. Contact him through LinkedIn.